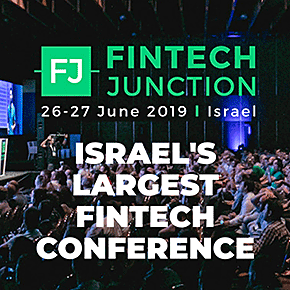 Now in its 3rd year, FinTech Junction has become Israel’s largest and leading conference on technology and innovation in the financial industry. This year we’re expecting 1,500+ professional attendees from Israel and from around the world: CXO’s, entrepreneurs, investors, innovation and fintech leaders from the leading startups, fintechs, banks, financial institutions, hubs, accelerators and investment companies, private, public, and government owned. We cover the latest and hottest trends shaping the future of financial services, including: open banking, blockchain, cryptocurrencies & ICOs, regulation, cybersecurity, AI, P2P platforms, startups and venture capital and much more.